Travel is not just about spending money or taking tons of pictures. It is also about experiences and exploring new places. You meet new people and learn about their culture. With routine comes monotony. To break this monotony, travel is very important. These travel blog themes are for you if you are interested in sharing your travel experiences with the world. We have shortlisted these top themes for you that will help showcase your travel journey. Share your pictures, your stories and your wanderlust with the world! All these travel blog WordPress themes themes require a self-hosted WordPress site. 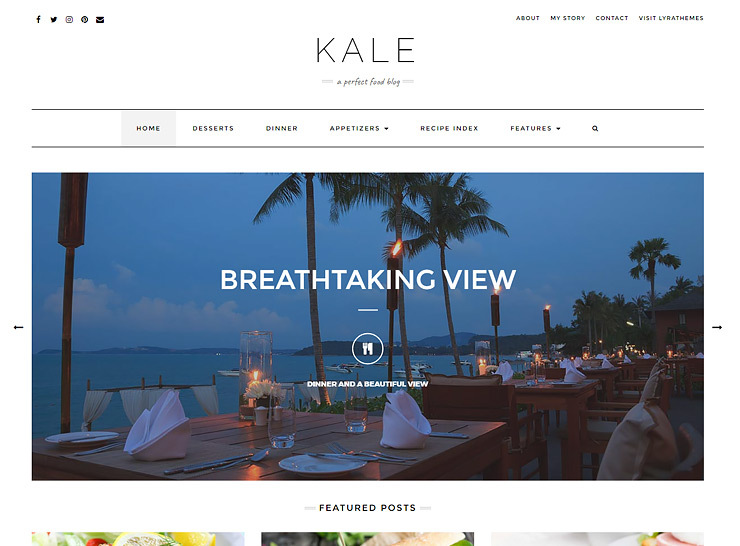 Kale Pro is a creatively crafted and feature-rich WordPress theme. This blog theme can serve a multitude of purposes including food, lifestyle and of course travel. There are several layouts to choose from, and each one helps to accentuate the beauty and color of your photography. This theme is perfect if your travel constitutes several tons of images and photographs. With the integration of Instagram and MailPoet, your followers will always be aware of your latest feeds. Bring more readers to your site through builtin Sliders and Google Font options. Kale Pro plays well as a travel blog that is always filled with travelogues and beautiful stories. It includes highlighted posts and featured posts options on the homepage, blog feed display options, and custom background options. This makes the blog visually captivating for your reader. 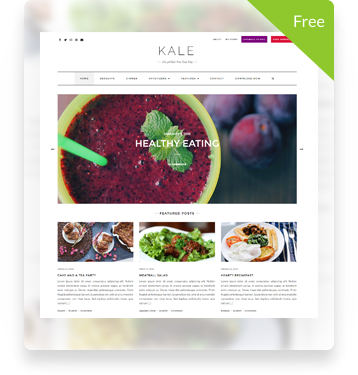 Kale Pro also works well with key plugins like WooCommerce, WP Instagram, MailPoet, and JetPack. It stands out as a great lifestyle and travel blog option. 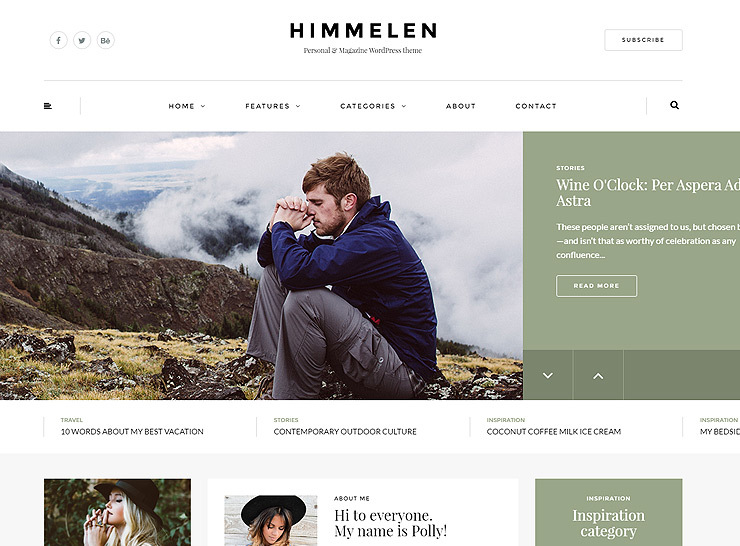 Himmelen is a multipurpose WordPress theme for Travel blogs and sites. Himmelen can cover all aspects of any travel blog, from travel stories to food diaries and from travel guides to travel journals. With its one-click demo import, you can get started in minutes with your travel blog. Himmelen comes with 5 different layout options for blogs, post slider options, featured post features, and an unlimited color palette. Along with that, Himmelen offers tons of header, footer and menu variations, several plugins packed with the theme for free, and compatibility with some top plugins in the market. Moreover, this theme is built on Bootstrap 3 and is retina display friendly. This makes Himmelen stand out among the rest of the travel blog themes, with its crisp imagery combined with tons of features. 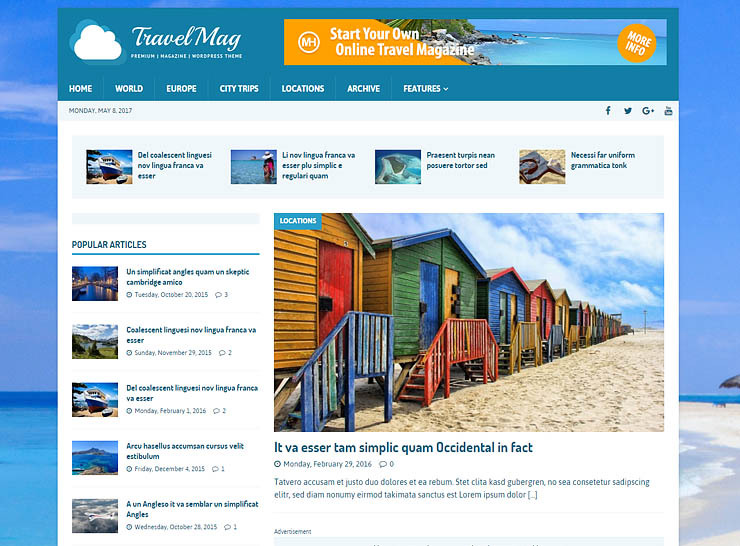 We recommending using this theme if you intend to launch your own travel related blog or magazine. It also comes with its own video tutorials if you run into any problems. 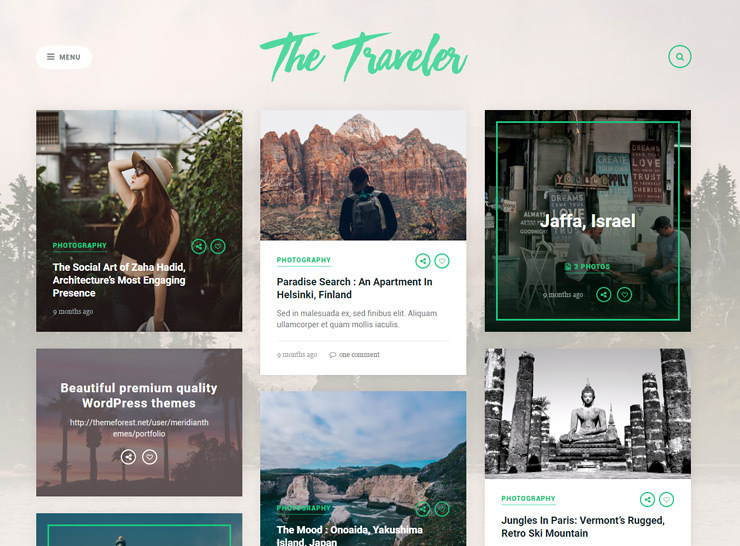 The Traveler is a theme designed for the travel blogger. 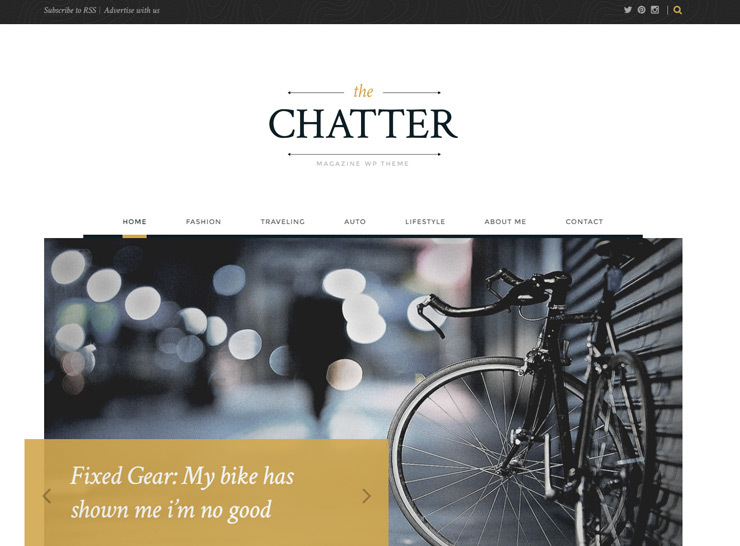 This theme is contemporary in its design and showcases images and blog posts in an elegant grid-like manner. It is paired with Meridian Styler and has tons of options to customize the look and feel of your travel showcase. The Traveler theme is compatible with some popular plugins like Contact Form 7 and has some custom widget options as well, integrates with Instagram feed and is translation-ready. You can easily use this theme for blogging in your native language. Great designed paired with functionality, The Traveler is perfect for a novice user who wants elegance and beautiful display options for their blog. If you want to share your journey with the world, the MH Magazine theme allows you to do so in a novel way by allowing you to lay out your content in a different way, more like a magazine, thus giving you the opportunity to keep your visitors engaged and entranced in your stories and photos. This is an additional demo of the very robust and multi functional MH Magazine theme, that has 15 demos at this time! If you can think of a topic, this magazine theme has it covered. As a travel magazine theme, it creates a professional, SEO optimized website that has many ways for you to display your content. Use the many areas dedicated as ad spots to monetize your website, set it to use a boxed or wide layout, and structure your content in multiple ways with this robust no nonsense travel magazine theme. This carefully developed travel blog theme has been packed to the brim with tools and features that empower the webmaster to churn out a sophisticated and functional website without touching a single line of code. 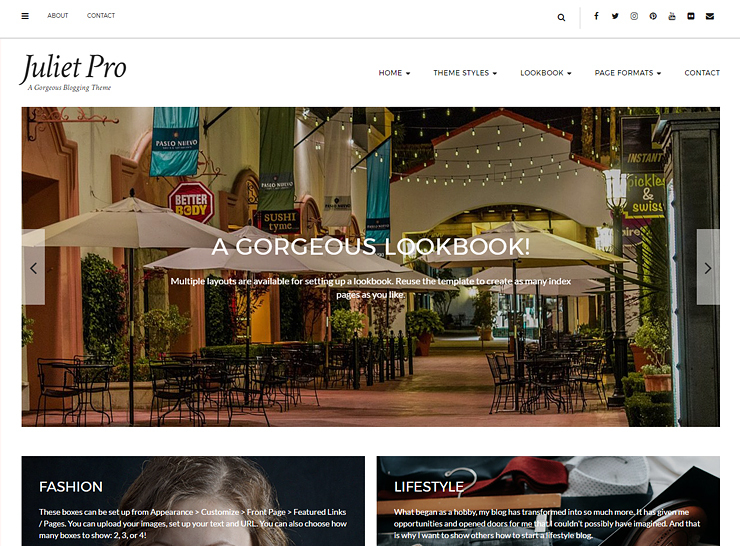 WPVoyager is the perfect theme for the novice as well as the savvy WordPress user. 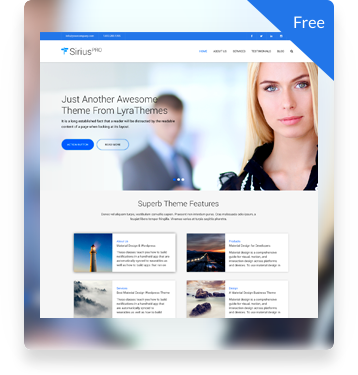 From shortcodes to widgets and from several theme options to page layouts, this theme offers everything. While other themes focus on photography, WPVoyager also provides Google Maps integration. Google Maps and KML are supported for a traveler who likes to showcase all the places they have visited. You can create multiple placemarks, image overlays, polygons and enhance user experience. It also pairs with several plugins including MailChimp, Loco Translate, WP Post Series and WP- PageNavi. 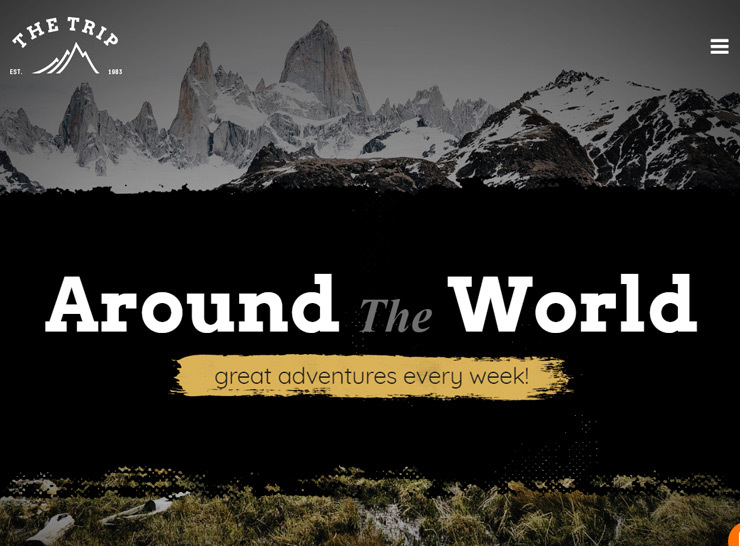 If you’re into showing the world your travel stories, filled with tons of pictures, maps, and other details, this is the theme for you. 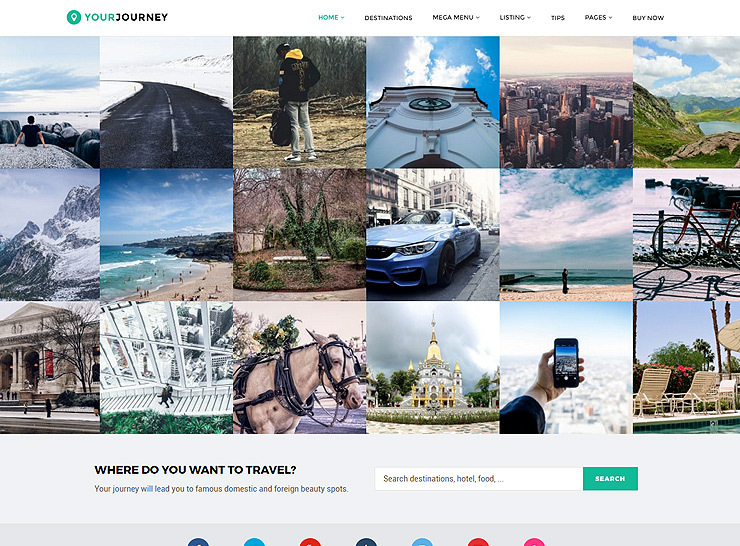 Your Journey is a stunning travel blog theme, featuring 26 different layout choices to suit your preferences. It is the broadest WordPress theme for travel sites and has been widely used by travel bloggers. The theme is filled with tons of style and page design options including 26+ different layout options to choose from. Widgets and shortcodes include integration with Vimeo, Instagram, Flickr, Twitter, and Facebook. This theme is ideal for the seasoned travel blogger who wants share their journey’s details with his or her followers. This theme also gives you features like WPML support, Social Media Share, Maps, Grid Rotator, Multiple Widgets and much more. 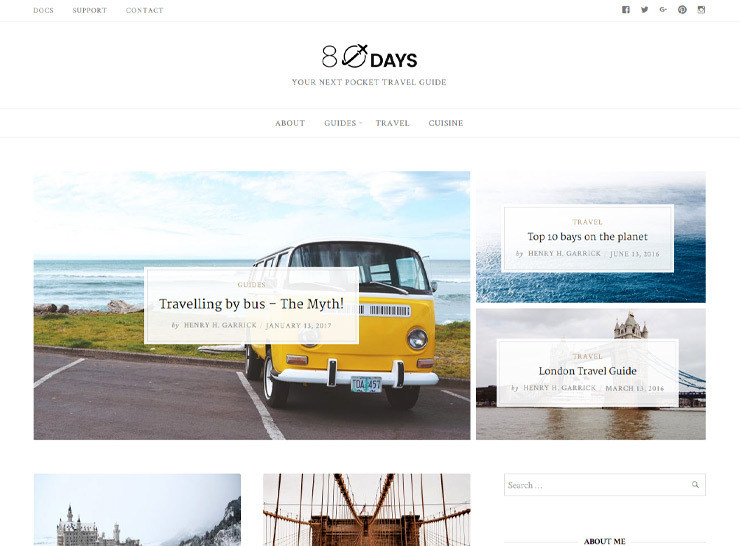 EightyDays is a minimalistic yet stunning travel blog theme that will bring life to your travel adventures. It is the best choice for traveling magazines and blogs and can house picture displays as well as posts. EightyDays is responsive, lightweight, optimized for SEO and fast. These are key features for any travel blogger. You can choose from multiple color, layout and design options, change logos, fonts and style through the WordPress Customizer. Infinite scrolling and WPML Support make it a perfect choice for a modern travel blog in the native language. 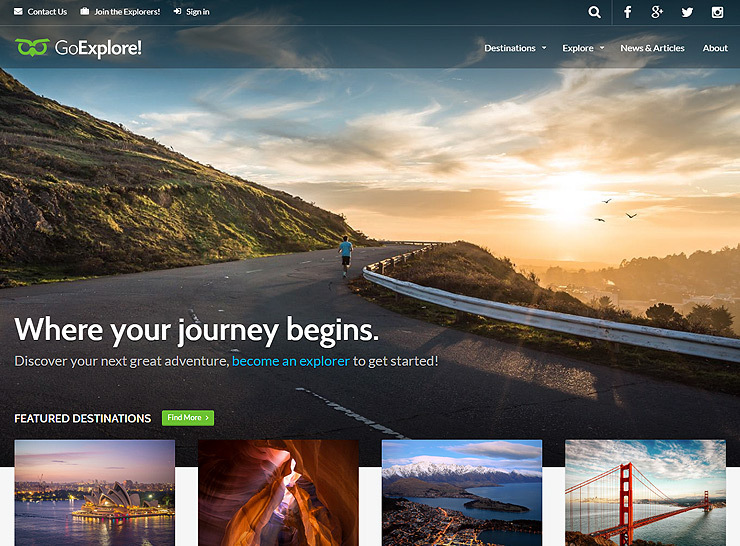 This is the ideal theme for the novice travel blogger who is hunting for the right theme that requires minimal work. 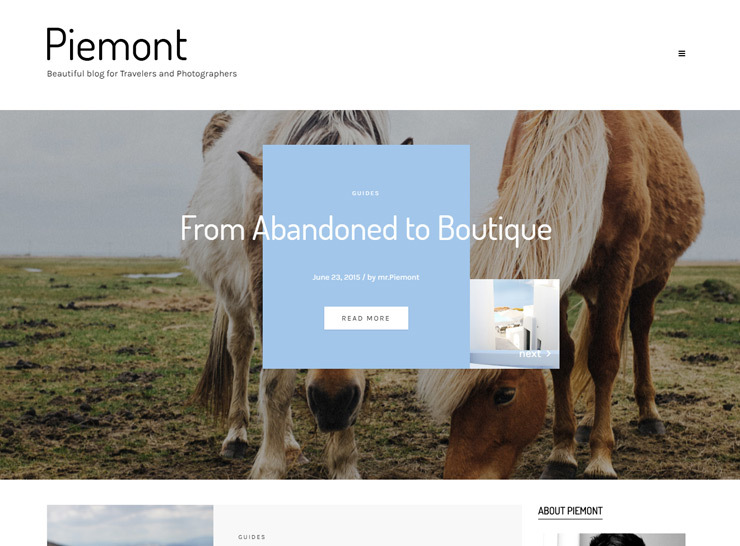 Piemont is an eye catching and responsive travel blog WordPress theme. It loads quickly due to its optimal design. Moreover, you have great options for header banners, homepage featured posts, font styles, and background colors. This theme provides tons of predefined options such as for blog styles, color themes, menus, post sliders, and layouts. It works well with WooCommerce as well giving you the flexibility to host your own travel related eCommerce store. It also boasts of great Google Page Speed (87/100 speed score). 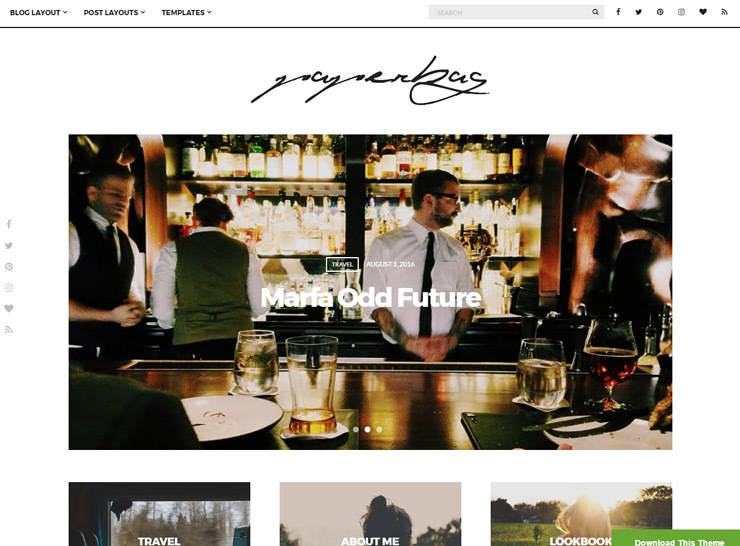 This theme comes with essential tools for travel blogs like MailChimp and Instagram. You can also utilize its one-click demo import to style your blog quickly. It supports WPML and is the top choice for several other travel bloggers out there. For both novice and savvy users, this theme is a must-have! This theme is designed on Unyson Framework giving it flexibility and robustness for both a travel blog as well as a travel agency. The Trip theme is packed with powerful features like a visual drag-and-drop page designer, demo import options, unlimited color palette options, featured posts, gorgeous sliders through Slider Revolution and LayerSlider, and more. It also integrates well with WooCommerce and has WPML support. You can convert your blog into an eCommerce venture or write in your own native language as well. The Trip comes with backup support, unlike other themes we have reviewed. You can use its own feature set to take backups rather than manual backups or using another plugin with limited compatibility. 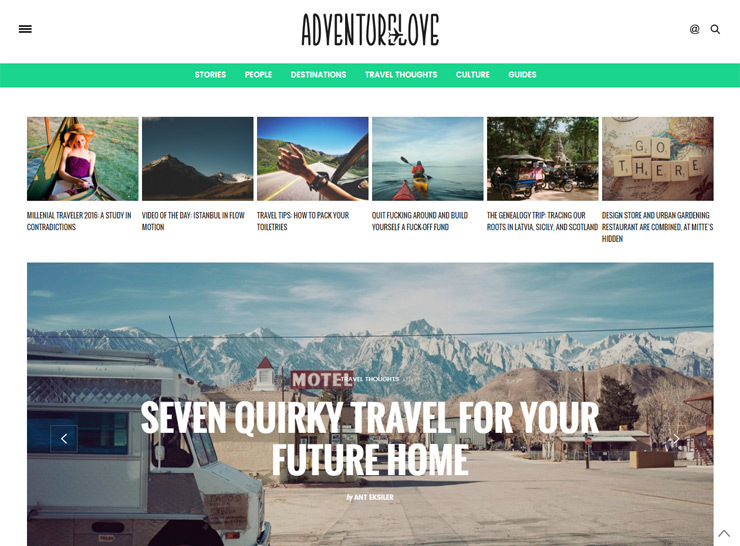 This is one of the best value WordPress theme for travel blogging that we have seen among the themes we have reviewed so far! 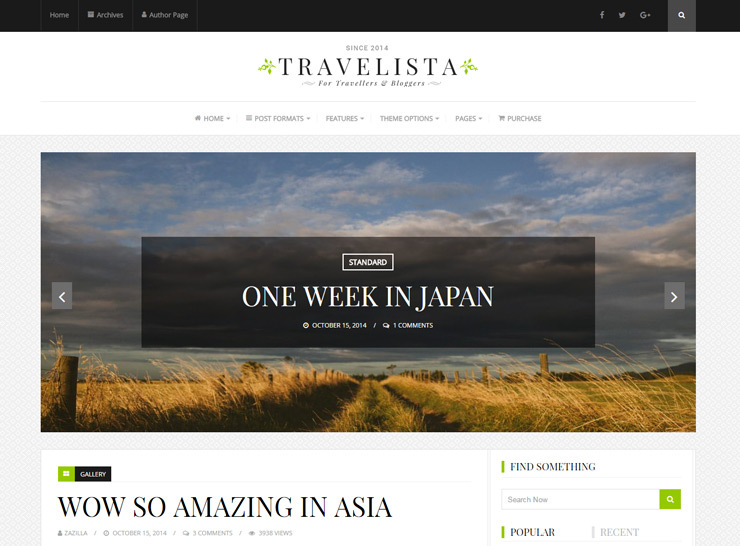 Travelista is a true multipurpose theme but works quite well as a travel blog theme. It boasts of several design options, 9 blog layouts, 8 theme layouts, 3 page layouts and several more. It also has an author page with full parallax effect, beautifully designed to capture the author profile. Travelista is a dream come true for travel bloggers. It is paired with retina ready display, different layout options, unlimited color options, custom menu options, support for RTL, social media sharing options, support for audio and video on self-hosting and much more! This theme also includes custom widgets, Advanced Typography options, Custom 404 pages and other design options. 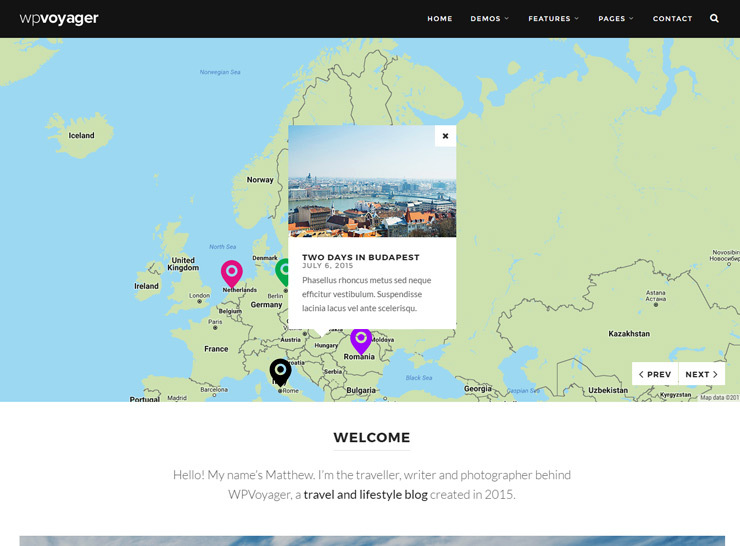 We highly recommend this theme for all travel bloggers! Paperbag is a fully customizable travel blog theme depending on your niche of travel and photography. With its modern 80+ customization options, you can design a unique travel blog without typing a single line of code. Paperbag theme offers you multiple layouts and lookbook templates that you can use to create awesome blogs. The choice ranges from 10+ page layout options, 20+ typography as well as color options, different post formats, and several custom widgets. 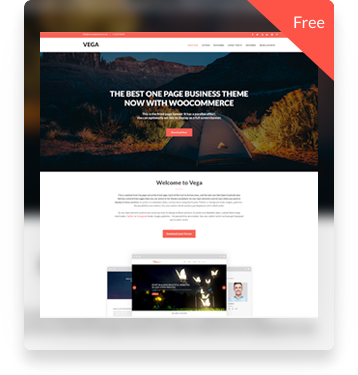 This theme also works well with top Page Builders like Divi, SiteOrigin and Elementor. This gives Paperbag an advantage over all the other themes we have reviewed so far for travel blogging. Paperbag is the perfect travel blogging theme for the novice WordPress user. Combine that with a Page Builder and your blog design will skyrocket!